AQUACHLOR – general name of electrolyser range produced by LLC LET. 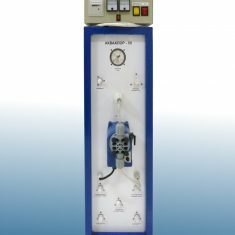 AQUACHLOR is an electrochemical system for chlore-alkali brine electrolysis. Our technology allows to use the cheap types of raw salt, which greatly reduces the cost of the final product. 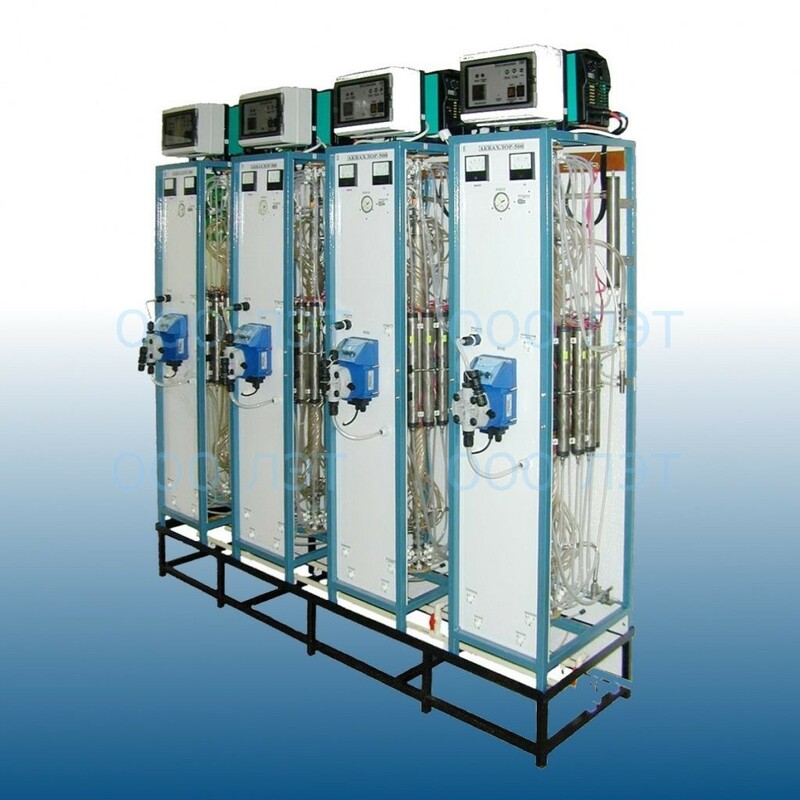 The range of basic equipment “AQUACHLOR” is represented by installations of various capacities. 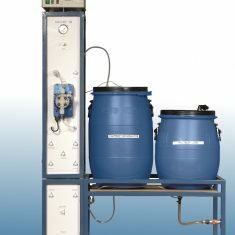 Capacity of “AQUACHLOR-500” is 12 kg of active chlorine per day. Capacity of “AQUACHLOR-100” is 2.4 kg of active chlorine per day. Capacity of “AQUACHLOR-50” is 1.2 kg of active chlorine per day. 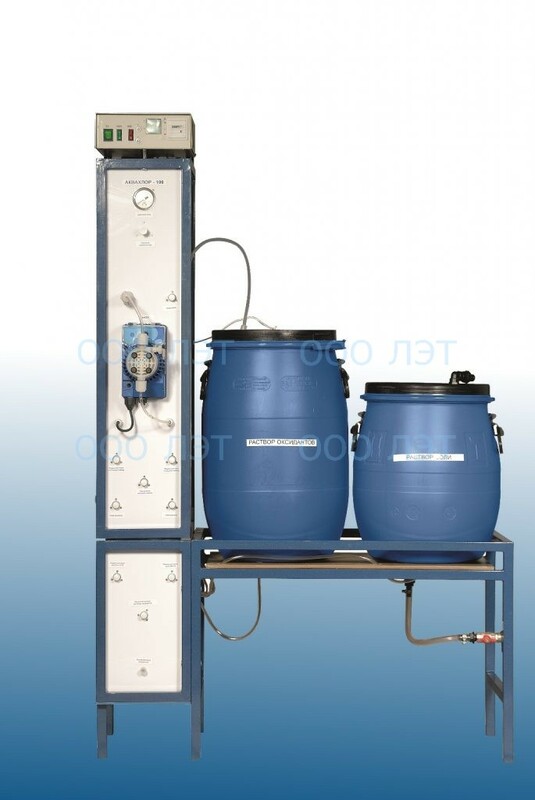 Capacity of “AQUACHLOR-30” is 0.72 kg of active chlorine per day. 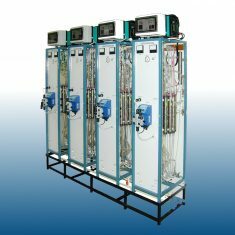 Equipment “AQUACHLOR” can be installed in a complex, which allows producing any concentration of active chlorine. Installation complexes “AQUACHLOR” are presented in the INSTALLATIONS section. 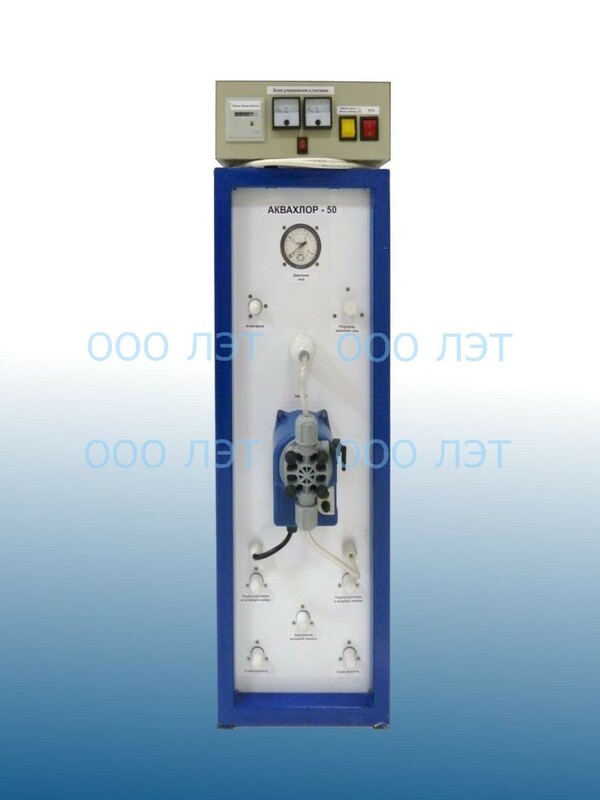 The principle of a diaphragm electrolysis is realized in the equipment “AQUACHLOR”. Electrodes of the reactor are separated by ceramic porous diaphragm, which allows reaction products to be separated. Chlorine-containing substances mix with water and form oxidant solution with pH=3, which is used for water disinfection. Hydrogen is diluted with air and removed from the room. Alkaline catholyte is removed by separated flow from the device. The catholyte is used as a reagent for the stabilization treatment of water. 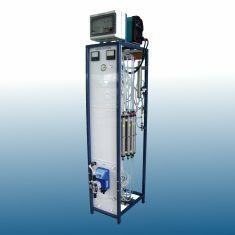 If necessary, you can get a neutral oxidant solution, which is similar to sodium hypochlorite with pH=6-7, by using any model of “AQUACHLOR” equipment. 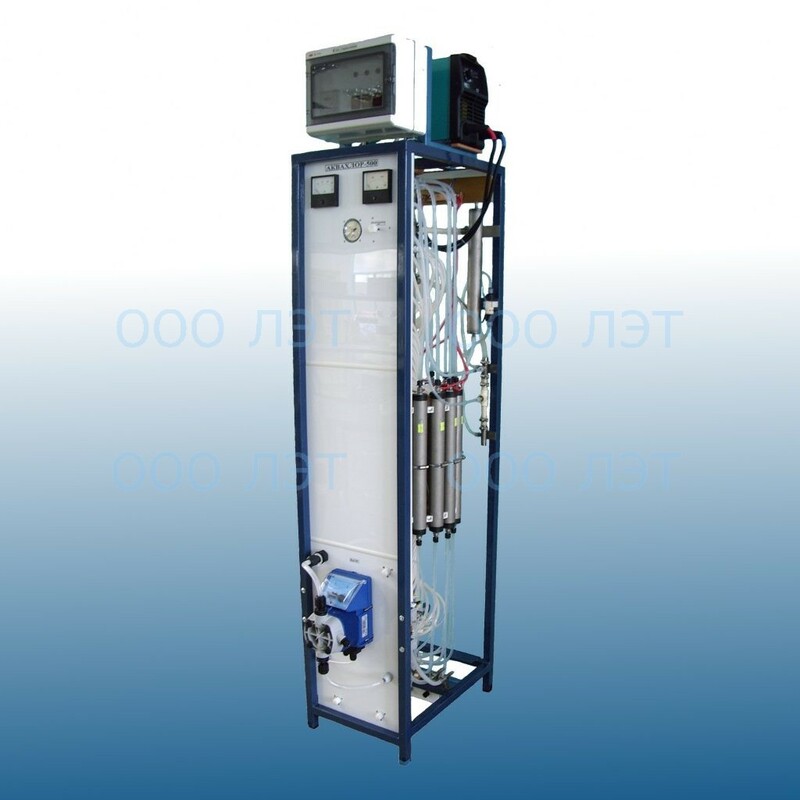 Equipment “Aquachlor” is intended for production use reagent for the disinfection of water. avoid expenses for transportation and storage of dangerous reagents, withdraw the object from the GCO registry. For more information about the economic efficiency indicators, please see the CALCULATOR section of our website. 1. On the places of preparation of household-drinking water.